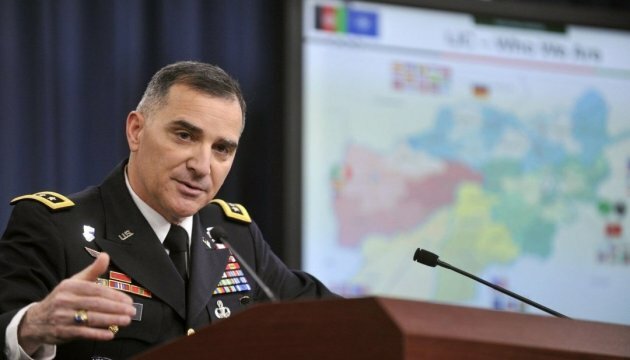 Commander of the NATO Armed Forces in Europe, U.S. General Curtis Scaparrotti noted the role of Bulgaria as the leading nation in the NATO Trust Fund for medical rehabilitation of wounded Ukrainian servicemen. The U.S. General said this during a visit to Sofia, Bulgaria, an Ukrinform correspondent reported. "Bulgaria provides warships for NATO’s patrolling in the Black Sea. Your forces are participating in the NATO mission in Kosovo. You support the Euro-Atlantic integration of the Western Balkans. You are also the main member of the NATO Trust Fund for medical rehabilitation of the Ukrainian military," the commander of the NATO Armed Forces in Europe said. As known, since 2015, the NATO Trust Fund has provided medical rehabilitation for more than 500 Ukrainian soldiers wounded in the war with Russia. Ukraine has also programs for the treatment and rehabilitation of military personnel on a bilateral basis with NATO and EU countries.